Shukria Barakzai was one of a handful of female MPs in Afghanistan to speak up for women's rights. Lyse Doucet meets the redoubtable Shukria Barakzai, Afghanistan's ambassador to Norway. Shukria was appointed a member of the 2003 loya jirga, a body of representatives from all over Afghanistan that was nominated to discuss and pass the new constitution after the fall of the Taliban. 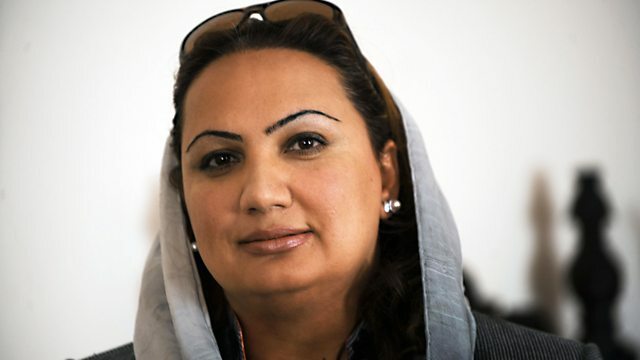 In the October 2004 elections she was elected as a member of the House of the People or Wolesi Jirga, the lower house of the National Assembly of Afghanistan. She was one of only a handful of female MPs to speak up for women's rights, and faced death threats for her views.